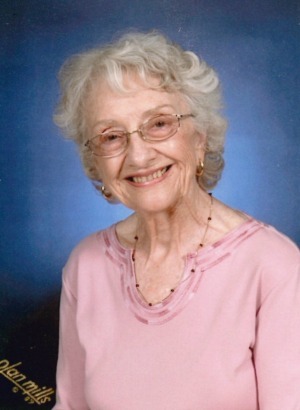 Jean May Kienzle, 89 of Lancaster went to her eternal home on May 26, 2018. Born on September 10, 1928 in Summit N.J. and raised in the Bronx, NYC. She was a resident of Calvary Homes, Lancaster. Jean was the daughter of the late John and Ida Churchill and the wife of the late Charles Christian Kienzle. She worked at Calvary Homes for 12 years as Supervisory Housekeeper. Jean was an exercise enthusiast participating in the Lancaster Senior Games. Traveling was a joy for her, especially her tours of Israel. A devoted member of Emmanuel Lutheran Church, she was active in the Lay Eucharistic Ministry as well as various committees. Jean’s dream of riding a motorcycle came to fruition in her senior years and lead to the Annual Motorcycle Day at Calvary Homes. It remains an exciting event for many Calvary Home residents. Jean is survived by three children. Sandra wife of Ernest Dubble of Lancaster; Karen wife of Robert Knight of Greensburg, PA; and Glenn of Austin, TX. She has 8 grandchildren and 2 great grandchildren. Jean is survived by her sister June wife of Vincent Fasano of Cape Cod, MA. She was preceded in death by her brother John Churchill.